Hydrographic personnel including survey managers, geologists and data processing staff along with the equipment and vessels to complete in-shore and coastal surveys make us prepared for work large and small. Hydrographic survey, be it pipelines, cable routes, cartography or search and detection, has taken Blue Dot staff worldwide throughout the years to areas of the Mediterranean Sea, Indian Ocean, Atlantic Ocean, Pacific Ocean, North Sea, Hudson Straits and many others. 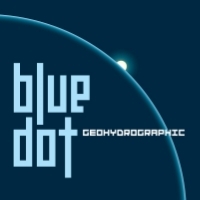 Blue Dot personnel are competent in a wide variety of hydrographic and geologic focuses. This includes performing acquisition and data processing for all standard sonar models and makes. Geologically we are well versed in sampling and analysis. Blue Dot commits itself to the highest quality of data. We use the most modern, accurate equipment and practices. After all, a quality product requires quality methods and equipment at its foundation.